Chevrolet Cruze was one of the first products of the "New" GM after the financial crisis of 2009. 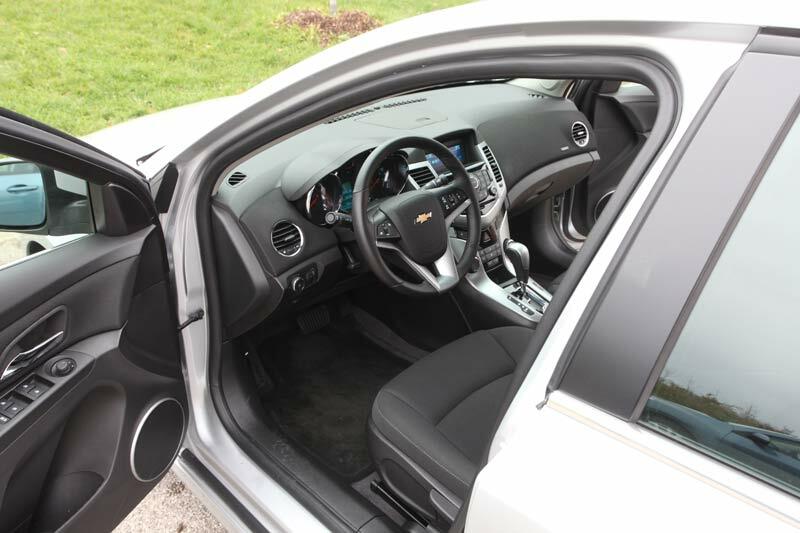 Stylish and roomy, the Cruze is nothing like previous GM "budget" compacts, such as the Cavalier or Cobalt. The Cruze is a global car, designed by international engineering team and sold in 115 countries. Compared to many other compact cars, the Cruze is heavier and offers a more solid feel. It's also one of the safest compact cars. That's good, but is it reliable? What are the common problems? Common problems: A faulty PCV diaphragm in the valve cover and missing air check valve in the intake manifold can cause variety of problems with the 1.4L turbo engine, including oil consumption, rough idle and Check Engine light. The computer scan may reveal codes P0171, P0106, P1101 and others. The repair involves replacing the intake manifold and valve cover (camshaft cover). A PCV pipe can go bad too causing similar issues and the code P1101. A leaking water pump can cause overheating and the A/C to stop working in the 1.4L engine. According to the GM service bulletin 14371A dated January 2015, the warranty coverage for this issue has been extended to 10 years or 150,000 miles (240,000 km), whichever occurs first. The bulletin advises replacing a water pump if it's leaking. Oil leaks from the engine and transmission seals and cooler lines are common. A thermostat housing may need to be replaced because of a coolant leak. Ignition coils may fail, causing misfiring. There are complaints about transmission failures in early models. The trunk release switch in the trunk can stop working. The repair is not very expensive: replace the switch. Engine and Transmission: The base LS model comes with the 138-hp 1.8L engine while the LT, 2LT, ECO and LTZ offer a turbocharged 1.4L motor. For the 2014 and 2015 model year, the 151-hp turbodiesel was added in 2.0TD and DIESEL trims. A 6-speed manual transmission is available in LS, LT an ECO trims. The most common model in the US is the 1.4-turbo LT with a 6-speed automatic transmission. Read also: Should you buy or avoid a turbocharged car? Fuel Economy: The Cruze diesel gets 27 MPG city and 44 MPG highway, which would make it a great commuter car. The LS 1.8L auto is rated at 24/35 MPG city/highway. The most popular Cruze LT with 1.4L turbo and auto transmission gets 26 MPG city, 36 MPG highway, or about 500 miles (800 km) to a tank. Timing belt or Timing chain: The Diesel and 1.8L engine have a timing belt. According to the 2015 owner's manual, for the 1.8L and 2.0L diesel engine, the timing belt, along with the idler pulley and timing belt tensioner (plus the water pump in the diesel engine) must be replaced at 97,500 miles or 156,000 km. The 1.4L turbo engine has a timing chain that requires no maintenance during the life of the engine, according to GM. Features: The USB port was optional in 2011, 2012; standard from 2013. The cruise control is not available in LS, standard in all other trims from 2012. Bluetooth connectivity was optional in 2011, standard in all models except LS in 2012, standard in all trims from 2013. Only the LTZ trim comes with 18" alloy wheels. A spare tire and a jack were optional in 2011 Cruze and were not available in some ECO models. If this feature is important to you, make sure the car you want to buy is equipped with a spare tire and jack. 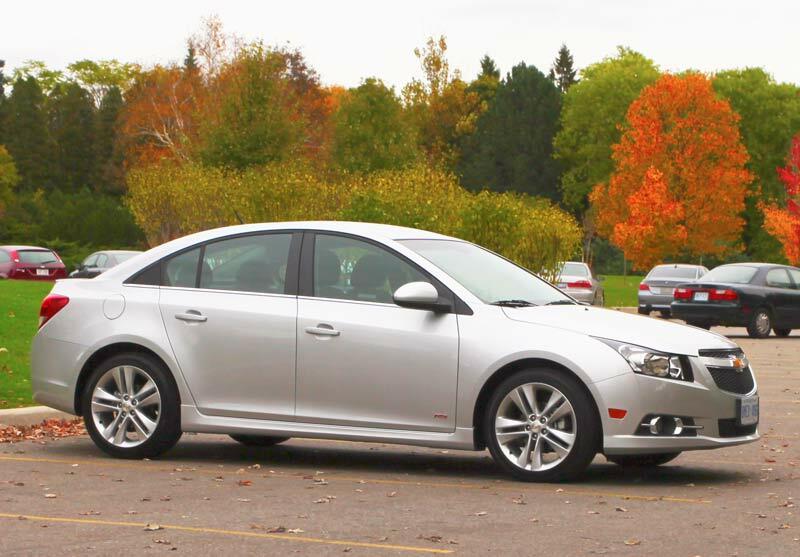 Handling and ride: The Cruze offers a solid quiet ride and responsive handling. The 1.8L engine is peppy and quick off the line. The 1.4L turbo is surprisingly smooth. Reliability: Consumer Reports rates the Cruze below average for reliability, only the 2015 model currently is rated better. The 2011 Cruise got the worst marks. The engine and transmission, in general, are rated well except for 2011 and 2012 models noted for cooling system problems. Some of the problems were addressed by warranty campaigns and recalls. The Cruze 1.8L engine is less troublesome than the 1.4L turbo. More reliable compact cars include Toyota Prius, Corolla, Mazda 3, Mitsubishi Lancer, Subaru Impreza and Honda Civic. Pros: Safety ratings, roomy, well-designed interior, compliant ride, large trunk, available diesel engine. 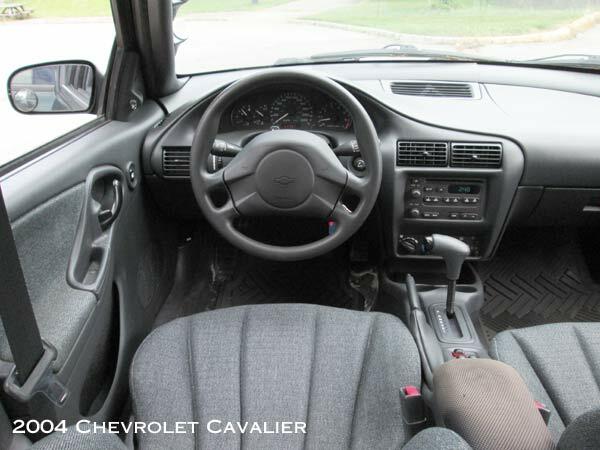 Cons: Seat fabric could be better, reliability, the cruise control is not standard. 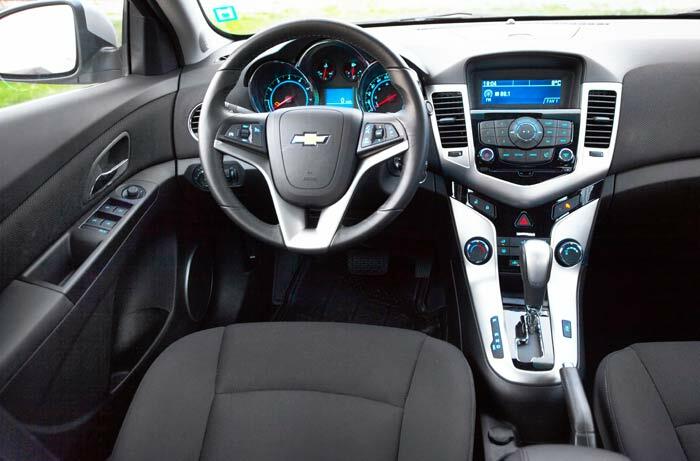 Overall: The Cruze is one of the safest compact cars, and it offers a comfortable quiet ride. The reliability is questionable, especially in early models. 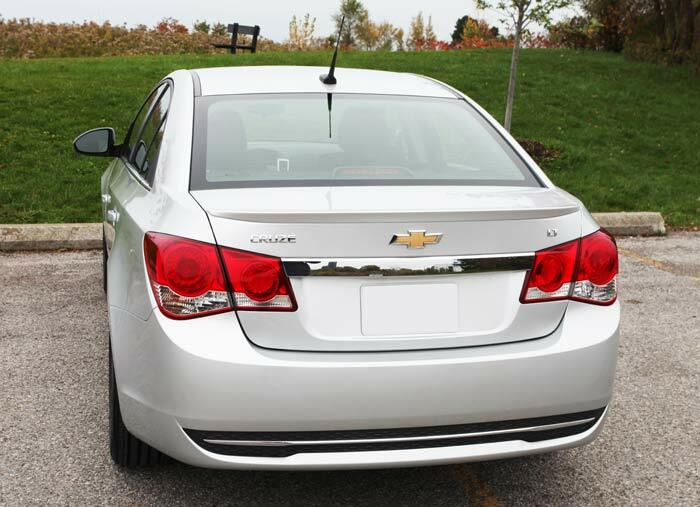 The 2011-2013 Cruze received the most complaints while the 2014 and 2015 model years fared better. To be fair, we also came across many owner reviews that were happy with the car. The NHTSA awarded all model years of the first-generation 2011-2015 Chevy Cruze with a 5-star overall crash test rating. 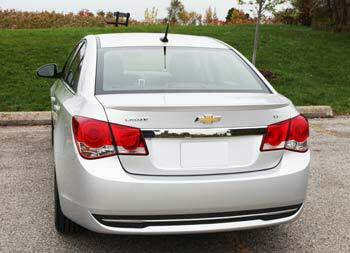 What to look for when buying a used Chevrolet Cruze: The Cruze was popular with rental car companies, check the history records to see if the car was used as a rental vehicle. Many owners mentioned coolant, oil and transmission leaks, so we would suggest having the vehicle of your choice inspected for leaks and other problems. One of the symptoms of coolant leaks is low coolant level in the coolant bottle, and a coolant smell under the hood. During a test drive watch out for coolant temperature gauge showing signs of overheating. Overheating the engine can cause many problems. Issues with the thermostat and PCV system are often mentioned as the reason for the Check Engine light coming on. A white smoke from the exhaust, lack of boost and whining noise coming from the front of the engine, could indicate a problem with a turbocharger. Maintenance tips: A turbocharged engine is very sensitive to lack of maintenance; have the oil changed regularly. According to the 2013 Cruze owner's manual, the recommended oil grade is SAE 5W-30, Synthetic Blend. A leaking water pump is mentioned often; keep an eye on the coolant level and watch out for coolant smell under the hood and signs of overheating. Old spark plugs can cause the engine to misfire and the Check Engine light to come on. Have the spark plugs replaced at or before recommended intervals. The owner's manual for the 2015 Cruze recommends replacing spark plugs in the 1.4L engine at 60K miles for severe conditions and 97K miles for normal conditions. Read more: How to maintain the engine. Read the note about the timing belt above.